I hope this finds each of you in good spirits as we trek through Fall toward Winter. I for one think a more southern location is in the cards. HMMM, perhaps Austin, Texas?! For the fourth year in a row, it’s time to think about three days of driving on America’s only purpose built F1 track, Circuit of The Americas (COTA) in Austin, Texas. MVP Track Time has scheduled our 4th annual three-day COTA track event for February 26 – 28, 2016. Now for the moment you’ve all been waiting for, the investment to play at COTA. The entry fee for all three days is $1,375, the same as 2014. Like our previous visits to COTA, this event will be for Advanced and Intermediate experience level drivers only. If you are in doubt whether you meet the Advanced or Intermediate criteria, don’t hesitate to call me at (314) 249-3770. As with previous years, there are a limited number of spots available for COTA. Yes, they fill fast. Once you have completed the entry fee, head over to the “Registration Page” of MVP’s web site (link below) to register. You’ll need to scroll to the bottom of the page to complete the blue outlined registration box. 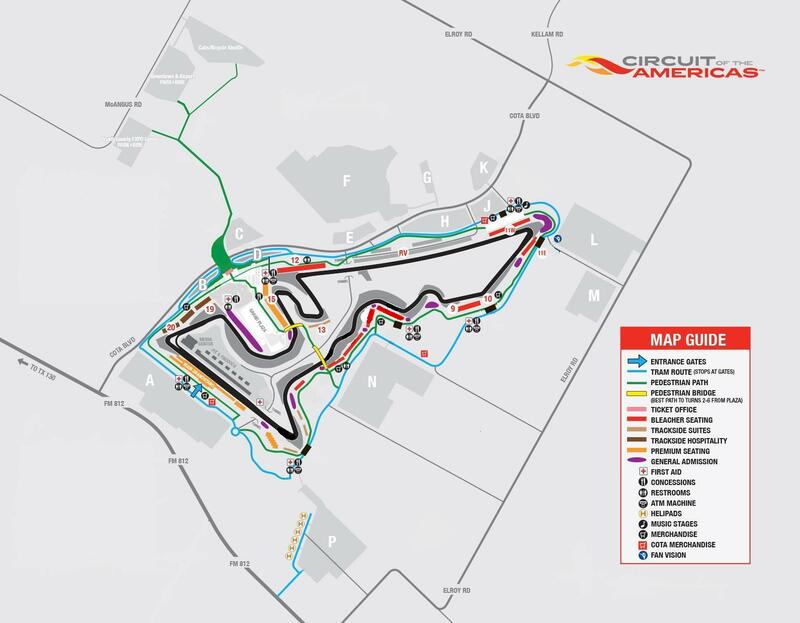 Click on the“Event” drop-down menu and choose Circuit of The Americas (COTA): February 26-28, 2016. In the spirit of transparency, the rental of COTA, as you can guess, is rather costly, so once you register, MVP will not be able to give you a refund until COTA is sold out and we have a replacement for you. If/when we can replace you, there will be a $100 cancellation fee. Inside of four weeks (January 29, 2016 and later) prior to the COTA event there is no refund. This is the reality of renting Circuit of The Americas. If you have any questions, grab the phone and call me at (314) 249-3770 or you can e-mail [email protected].